Tomorrow will be an exciting, yet somber, day for Holden enthusiasts across the globe. Holden Special Vehicles (HSV) will introduce its final range of Holden Commodore-based performance machines tomorrow. 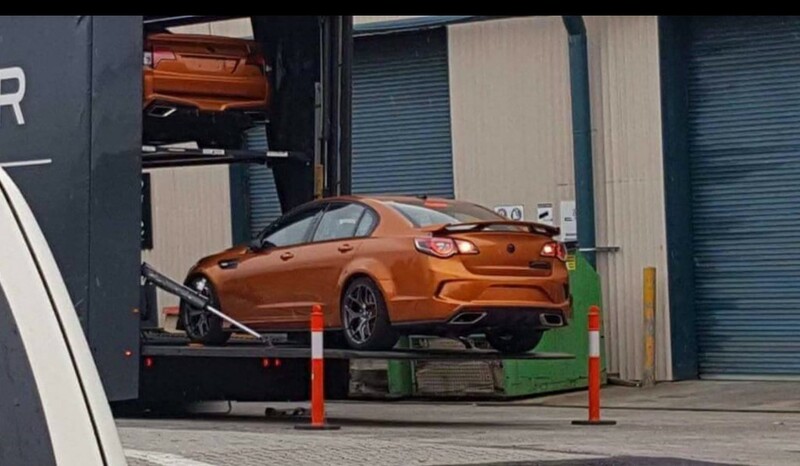 The Walkinshaw-backed performance group announced the reveal on its official Facebook page, and we’re expecting to see what HSV has had cooking regarding a going away party for the locally-built Commodore. It’s been speculated for some time we will see the introduction of the 2017 HSV GTS-R W1, a vehicle that would revive a coveted nameplate from the company’s past. We’ve spied what seems to be the GTS-R W1 in the past with beefed up exterior cues, but the real story will be what’s likely hiding under the hood. The GTS-R W1 is said to be gunning to become the most powerful Australian-built vehicle ever with a 6.2-liter supercharged LS9 V8 engine under the hood. HSV has also reportedly been taking reservations for a limited edition vehicle, with production expected to be capped around 250 units. As for the rest of the 2017 range of HSVs, minor styling tweaks and performance upgrades are likely a given, though after moving to a full lineup of 6.2-liter supercharged LSA V8 engines, we don’t expect anything major for the entire lineup. It’s possible we’ll see engine and transmission cooling packages like Holden developed for its three final, limited-edition Commodores itself. The reveal will occur at 12:01 a.m. AEST on Wednesday, which translates to 8:01 a.m. tomorrow morning for those of us residing in the Eastern time zone.